Check the complete list of youngest MP’s of India. Priyanka Singh Rawat is an active politician belonging to Bhartiya Janata Party and popularly known as “Jijji” in Barabanki. She was born in Bareilly in Uttar Pradesh on 7 August 1985. She is a young and firebrand politician. She has done M.A. (Political Science), P.G. Diploma in Mass Communication and Electronic Journalism. Before joining active politics, she was a young media professional. Though she has a powerful family background, she is the first debutant in politics from her family. She is the fourth youngest Member of Parliament in 16th Lok Sabha. She contested Indian general election from Barabanki Seat of Uttar Pradesh. Abhishek Singh was born on 5 March 1981 at Kawardha. He is the son of Raman Singh and Veena Singh. Abhishek Singh is the son of Raman Singh, the Chief Minister of Chhattisgarh and Veena Singh. Currently, he is a Member of Parliament, Lok Sabha from Rajnandgaon (Lok Sabha constituency) in Chhattisgarh. He was elected to Lok Sabha in May 2014 as a candidate of Bharatiya Janata Party. He took his engineering degree from NIT Raipur. 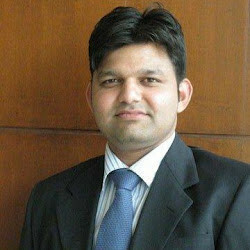 He also completed his M.B.A. from XLRI – Xavier School of Management. Singh entered politics and campaigned for the Bharatiya Janata Party (BJP) during the 2013 Chhattisgarh Legislative Assembly election in the districts of Rajnandgaon and Kawardha. In April 2014, the BJP declared him as their candidate to contest the general election from Rajnandgaon after Madhusudan Yadav, the then member from the constituency, was denied a ticket. He won the election by a margin of more than 235,000 votes and 33, became the youngest member of parliament elected from Chhattisgarh. Akshay Yadav was born in Etawah, Uttar Pradesh, India, on 25 October 1986. Akshay Yadav is one of the youngest MPs of India. He is not known as his cousin Akhilesh Yadav but is very popular as a member of Ferozabad’s parliament. Akshay Yadav is the 16th Lok Sabha MP of India. In 2014, he won from Firozabad constituency of Uttar Pradesh by contesting on the ticket of Samajwadi Party with a margin of 115,000 votes. Akshay Yadav became an MP at the age of 27. Akshay Yadav is the son of Mulayam’s brother Professor Ramgopal. Akshay won the 2014 Lok Sabha election at the age of 27. He is Samajwadi Party MP from Firozabad, he defeated BJP’s candidate Prof. SP Singh Baghel with a total of 1.44 lakh votes. Chirag Paswan is an Indian politician. He belongs to Lok Janshakti Party. Chirag Paswan was born on 31 October 1982 in Khagaria, Bihar. Chirag Paswan is the leader of Lok Janshakti Party, who was elected MP from Jamui seat of Bihar in 2014, and his father is currently holding the post of Consumer Affairs, Food and Public Distribution Minister in the Central Government. 35-year-old Chirag Paswan started his career in politics in 2014 and participated in the 2014 Lok Sabha elections, he contested from Jammu’s Jamui seat and won from this seat. He has done his B.Tech (Computer Engineering) 3rd Semester From Institute Of Engineering and Technology, Janshi, Bundelkhand Unversity, Janshi in 2005. On the other hand, he is now engaged in the task of strengthening his Janashakti Party. Before entering in Politics He debut in Bollywood, But that was not right turn for him. He has a Political background as he is the son of Member of Parliament and Union Minister Ram Vilas Paswan. Dushyant Chautala is an Indian politician and current Member of Parliament (16th Lok Sabha) representing Hisar Lok Sabha Constituency in Haryana. He is the founder of ‘Jannayak Janta Party’ (JJP). He is the youngest ever Member in the history of Indian Parliament. Dushyant Chautala was born in Daroli, Hisar District, Haryana, on 3 April 1988. He has a younger brother, Digvijay Chautala. Dushyant Chautala defeated Kuldeep Bishnoi of the Indian National Congress (INC) by a margin of 31,847 votes in 2014 Lok Sabha Elections to become the youngest ever elected Member of the Parliament for which he holds a record in the ‘Limca Book of Records’. Dushyant Chautala, on 9th December 2018, after being expelled from Indian National Lok Dal launched a new party Jannayak Janta Party (JJP). Chautala is the first Indian to have been conferred high civilian honour in the assembly of Arizona (USA). Gaurav Gogoi is an active Assamese politician of Indian National Congress in the Assam state of India from Tai-Ahom community. Gaurav Gogoi was born in 1982. His father Tarun Gogoi is an Indian politician who served as the Chief Minister of Assam from 2001 to 2016. Gaurav Gogoi graduated from St. Columba’s School in Delhi. He then completed B.Tech in Electronics and Communication Engineering in 2004 from Indraprastha University, Delhi and then joined the marketing team of Airtel. He later went to the United States of America to study public administration. He holds a master’s degree in Public Administration from New York University. He joined politics and said that he would do whatever the party wanted him to do. In March 2014 Congress Party announced Gogoi as its candidate from Kaliabor (Lok Sabha constituency). After the announcement, Gogoi filed his nomination on 19 March 2014. He won his first election polling a total of 443,315 votes beating his nearest rival, Mrinal Kumar Saikia of BJP by over 93,000 votes. Heena Gavit, a doctor by profession, is one of the youngest members of Parliament. Dr Heena Gavit is the daughter of Dr Vijaykumar Gavit, a Bharatiya Janata Party & Ex-Nationalist Congress Party (NCP) MLA from the Nandurbar Assembly constituency. At just 26 years old, she had become one of the youngest members of Parliament in the new Lok Sabha, who not only defeated her opponent with a margin of over one lakh votes but also won from a constituency the Congress has never lost since Independence. Heena joined the BJP in New Delhi on Mar 21, 2014, in the presence of Rajnath Singh and Narendra Modi. She is elected as an MP from Nandurbar constituency to 16th Lok Sabha. In the 2014 Lok Sabha elections, she defeated Manikrao Hodlya Gavit, a nine-time MP from Nandurbar. Manikrao’s Indian National Congress held the seat since 1967. Heena’s victory of margin was 106905 votes. Along with Raksha Khadse, she became the youngest MP in the 16th Lok Sabha. Poonam Mahajan Rao (Born on 9 December 1980) is an accomplished and experienced politician of the Bharatiya Janata Party (BJP) in India. Poonam Mahajan holds a Professional Diploma in Leadership from the Brighton School of Business and Management. She also completed 300 hours of commercial pilot training from Dallas, Texas. Poonam Mahajan is the youngest Woman BJP National Secretary. She is the youngest BJP Loksabha Contestant for 2014. Since joining the party, she has dedicated her life for the party work and has risen through the ranks by her hard work and dedication; the party rewarded her hard work by making her the youngest woman national secretary of Bharatiya Janata Party. Pratap Simha was born on 21 June 1976 in the sakleshapur. He started his career as a Journalist in Vijaya Karnataka Newspaper. he came in limelight for his column `Bettale Jagattu’ (The naked world) which was filled with a sharp and critical outlook towards the world. In 2008, He wrote a biography on Sri Narendra Modi titled ` Narendra Modi: Yaaru Thuliyada Haadi'(Narendra Modi: The Untrodden Road). He joined the politics in 2014 and soon became the president of BJP Yuva Morcha. He contested in 2014 Lok Sabha election from Mysore constituency and won over his opponent by a huge margin of 32000 votes. He is also a member of Press Council of India.